The Internet has become so pervasive and integral for conducting business and communicating with customers, partners and employees, that network performance, high-availability and uptime are now required for running the day-to-day operations of an organization. Many companies rely on a single Internet connection to keep their business up and running – but oftentimes that’s not enough to ensure resiliency and redundancy. Network downtime not only costs money and impacts productivity, it can also adversely affect a company’s reputation among customers and partners. Software-Defined Wide Area Networking (SD-WAN) reduces network connectivity downtime while providing resiliency and failover for networks. 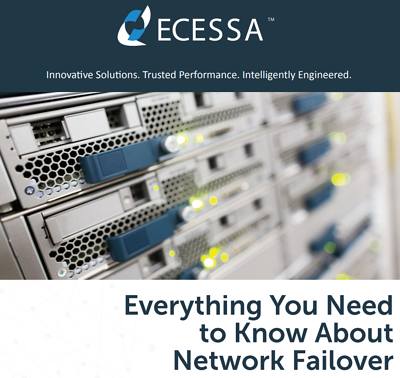 Download the white paper to learn more about network failover and Ecessa’s SD-WAN solutions.